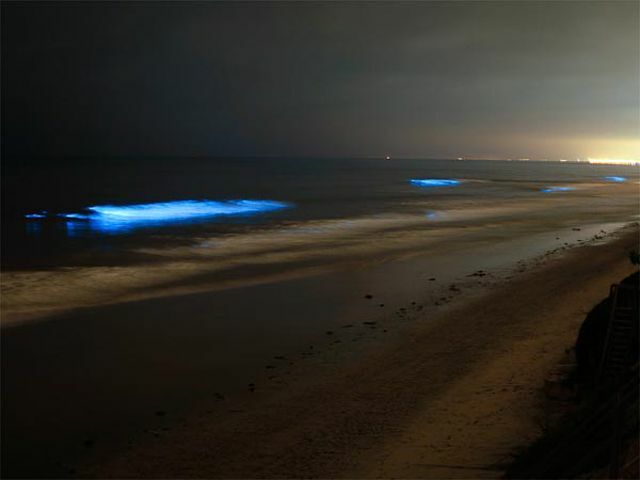 (5 Places To Observe Bioluminescence) Our blue planet is full of mysterious phenomenon and happenings. All of these just take our breath away and force us to think about their enigmatic existence and origins. Out of all these, one such mystic occurrence is ‘bioluminescence’. Basically a form of chemiluminescence, bioluminescence occurs as a result of emission of light by certain marine organisms when they are disturbed. 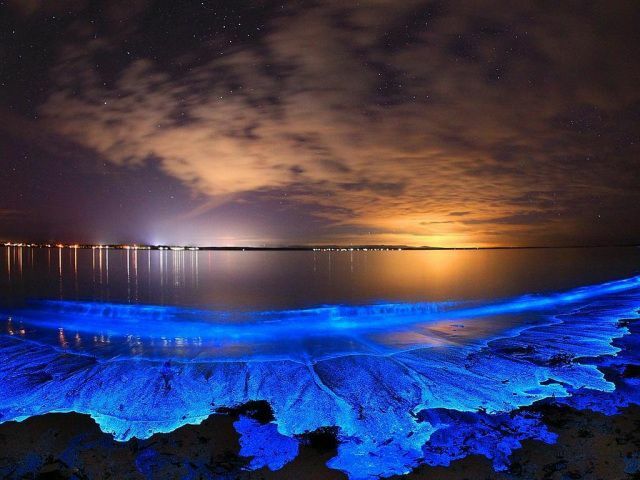 Main creatures that cause this glowing phenomenon include fungi, algae, and fireflies among others. In other words, bioluminescence is a fantastic display of bluish glowing lights in water bodies. It is extremely rare and most scientists find it difficult to predict their nature and occurrences.Only a few places across the globe experience this majestic phenomenon. The Mosquito Bay is located in Vieques in Puerto Rico and is one of the best places to observe this heavenly event. The shallow waters here offer a neon blue display due to light emitted by microorganisms called dinoflagellates. One should try and visit here on a new moon, as the bay glows the brightest on a moonless night. Also, one can go kayaking to get a closer vision of these glowing surfaces. 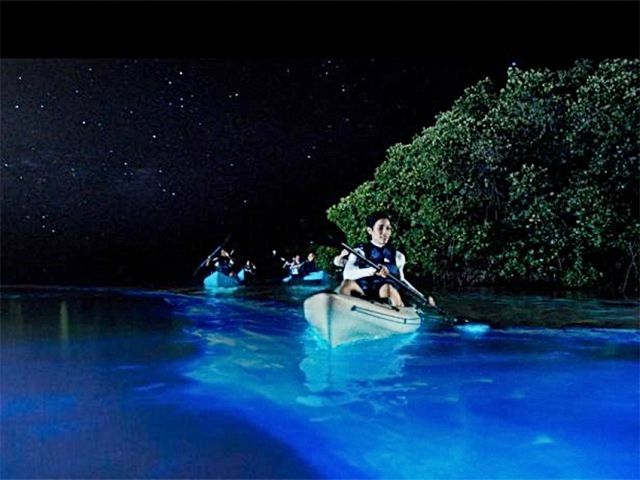 This bay holds the Guinness World Record for the brightest bay in the world and is also known as Bioluminescent Bay. 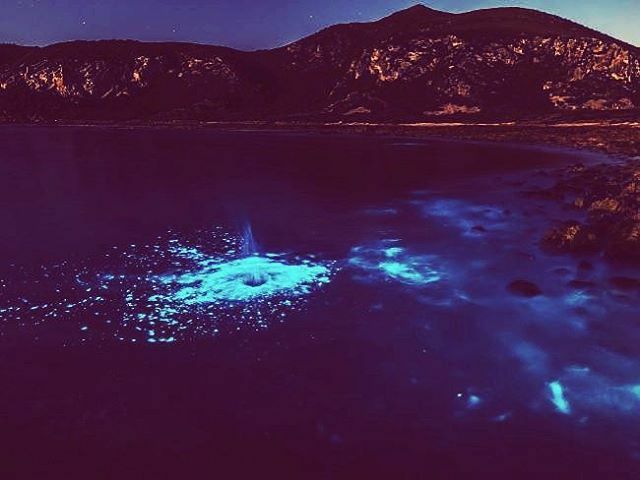 This popular holiday destination, in California, presents bioluminescence in many of its nearby bays. A unique thing about its waters is that they display a red tint during the day, which changes to bright blue at night. A typical type of algae called phytoplankton is the sole contributor for the presence of these amazing colors. But, the only disadvantage is that the phenomenon doesn’t occur here every year and is quite unpredictable. Mission Bay and Torrey Pines Beach are the famous spots here to witness the glowing waters. Situated in the peaceful island country of The Maldives, this region displays a strong glow of bioluminescence. The main advantage here is that the dinoflagellates are mostly present around the shore. Thus, it’s not necessary to enter into the waters to get a glimpse of the phenomena. Additionally, the place contains dinoflagellates in huge concentrations, due to which the emission of light occurs for longer durations. Sometimes they even turn up on the shore, thus making the sand glow too! Gippsland Lakes in Victoria, Australia, is different than other places in the sense that they are lakes, instead of seas or oceans. Thus, being smaller in size makes it possible to dive in and explore the glowing waters completely. Over the course of time, due to natural disasters, the concentration of bluish-green algae boosted up. This eventually led to the existence of bioluminescence at these lakes. But since 2008, the glow has grown dimmer than before and presently only faint lights are clearly visible. 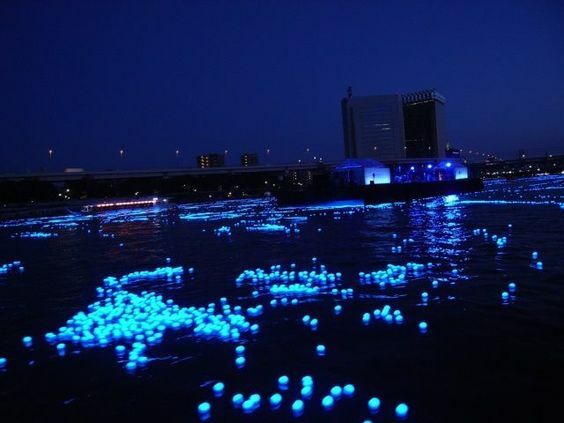 Located in Japan, Toyama Bay’s bioluminescence is unlike any other. While at other places, the phenomena take place due to algae, here it occurs because of a marine creature called the firefly squid. Every year, between March to June, innumerable firefly squids get pushed to the shore from the ocean depths. Thus, the bay provides a spectacular view of brilliant blue glowing shores. Interestingly, these squids are delicious to eat, hence fishermen too, come during the nights to cast their nets.